AGTS is a nonprofit organization that specializes in providing affordable, customized career training for both the public and private sector. 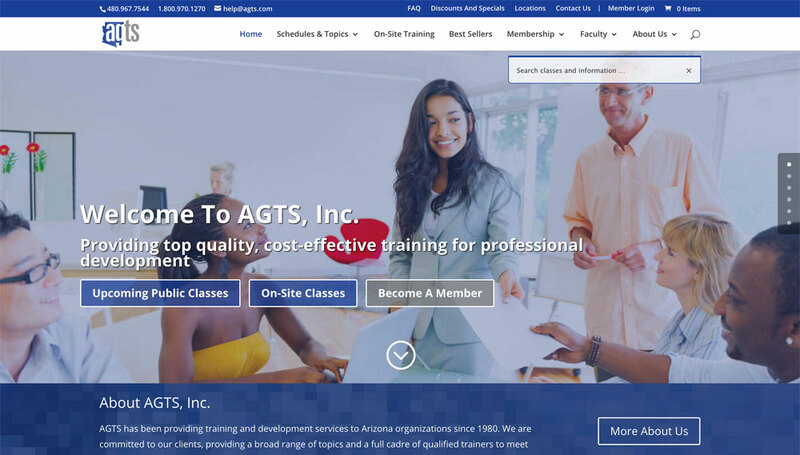 AGTS had a site existing, but it was created nearly a decade ago and was in desperate need of an update for both aesthetic and functionality. Between us and marketing extraordinaire team AdMix Social, we were able to deliver an end product that the folks at AGTS can be proud of. Our scope on this project was significant. Our job included the constructing the overall site design, organizing the 100+ AGTS courses, and creating an automated class calendar. 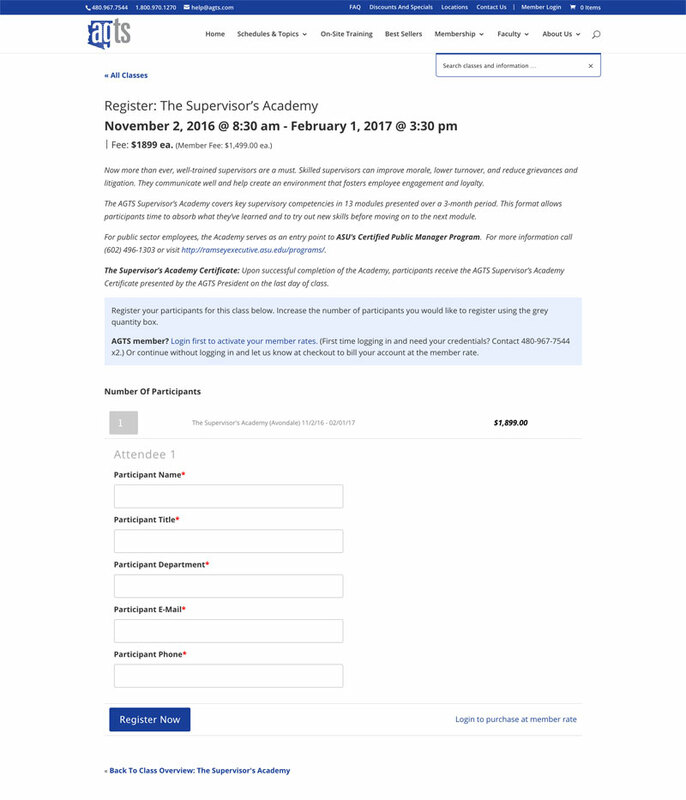 The largest and most complicated piece of the project for us was developing a system for AGTS customers to reserve classes and automatically implementing discounts for members. The most difficult part of the project was figuring out how to best create a system of registering customers for courses and allowing them to pay online. This feature took a good deal of discussion, careful research, and strategic planning to implement. From the customer’s perspective, the system is intuitive and allows them to flow through the registration and checkout process smoothly. On the other side of the equation, our system does exactly what the team at AGTS needed.